A nice selection for variegated hosta. 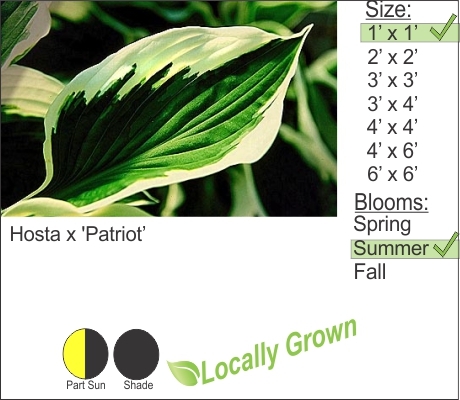 Patriot Hosta is a tough durable perennial that will work well in part sun to full shade. The cream color variegated margins of the leaves make this plant stand out in a crowd of other green plants. Cut back in early spring before new growth emerges. Flowers are a nice purple in late spring.